To help impact entrepreneurs access capital smarter and faster than before and to supercharge accelerator and intermediary programs’ support of these entrepreneurs. So entrepreneurs can efficiently and effectively raise the capital they need and get back to their primary work – scaling impact! The capital raising process is difficult, and many entrepreneurs put in significant time but end up with capital that is detrimental to their business. The wrong capital for your business is a distraction, doesn’t fit your needs, and can keep you and your impact enterprise from reaching your goals. CASE’s Smart Impact Capital is designed to address these very challenges, and offers busy entrepreneurs a suite of targeted, flexible, and rigorous tools to build a robust strategy to attain capital that is SMART for your impact venture. Get started here. 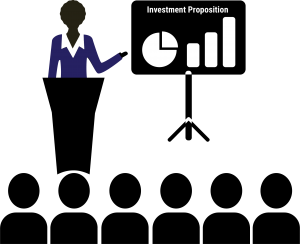 By providing Smart Impact Capital to the ventures in your network, you can efficiently deliver more value to them, resulting in accelerated learning, more tactical and focused convenings with your experts and coaches, smarter investment matches, and stronger returns. Reach out to CASESmartImpact@duke.edu to start the conversation about how you can use Smart Impact Capital with your entrepreneurs. How do you build an investment guide for the world’s most ambitious social entrepreneurs? You start with the real-life experience of others like them. We scoured the planet for the best stories, insights, takeaways, and publications. We talked to entrepreneurs, investors, consultants, government agencies, and accelerators. We worked with entrepreneurs raising capital and captured the set of topics that most people need help with. The resulting tools are based on dozens of interviews and publications over CASE’s 15-plus years of engagement with social entrepreneurs and investors. Acumen, Afya Research, Blue Dot Law, Changamka, Convenors.org, Elevar Equity, Enable Impact, Forus Health, Global Accelerator Learning Initiative (GALI), Impactterms.org, Innovations in Healthcare, Investors’ Circle, MercyCorps, MIT D-Lab, Pomona Impact, Saving Lives at Birth, Social Entrepreneurship Accelerator at Duke, SOCAP, Spring, Sproxil, Unitus Capital, Unreasonable Institute, USAID, USAID Global Development Lab, USAID Global Health Bureau, Vaatsalya, We Scale Impact, Zana Africa, and MANY MORE. What makes Smart Impact Capital unique? Our tools and resources are based on current practices broader than what any single event or accelerator can offer you. We incorporate real-life experiences and hard won lessons from other entrepreneurs to make your fundraising journey easier and better. Investors like Acumen, Investors’ Circle, Elevar Equity, USAID, and Unitus Capital share their expectations around growth, impact, and returns metrics. Who’s behind Smart Impact Capital? Smart Impact Capital is a set of online tools produced by the Center for the Advancement of Social Entrepreneurship (CASE) at Duke University’s Fuqua School of Business, with support from USAID. The lead author of Smart Impact Capital is Cathy Clark, Faculty Director at CASE and a former impact investor. 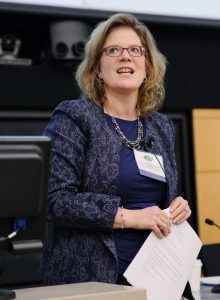 Cathy is a leading authority on for-profit social entrepreneurship, impact investing, and impact assessment, and has worked with hundreds of global partners as part of her work with the CASE i3 Initiative on Impact Investing. Additional authors and producers of Smart Impact Capital include Carrie Gonnella and Kimberly Langsam of CASE and social entrepreneurs Natasha Goldstein, Ellen Martin, and Alden Zecha. In addition to these contributors, Smart Impact Capital has engaged with dozens of CFOs, entrepreneurs, investors, and other intermediaries to inform and develop the content and tools, including our pilot partners at SOCAP, Spring, Unreasonable Institute, MIT D Lab, USAID Saving Lives at Birth, and Investors’ Circle. Video Production credits go to the incredible team within Fuqua Education Technology Services and Multimedia Production, notably Lucy Pless and Jason Van Sant. Tell us: How has Smart Impact Capital helped you? We now have hundreds of entrepreneurs around the world who have used these tools. We’d love to learn more from you about what works, what was really helpful and what we can do to make them even better. To tell your story or provide feedback, email us at CASESmartImpact@duke.edu.